My husband and I met each other, 13 years ago, in the wellness and sport industry. We both have a huge passion in preventive health and have spent most of our lives guiding others to create a healthy, positive lifestyle. Eight years ago we began our interest in plant-base nutrition. We started by watching many documentaries about the impact plant-base food has on our health, environment and animal welfare. This completely changed our perception in where our food comes from and the direct effect it has on our bodies, lives and our planet. At this point we made up our minds to stop eating all meat, eggs and all dairy products. We researched and studied the mechanics of plant-base whole food nutrition to implement the necessary micro nutrients our bodies need for health and performance. Five years ago, when our older son started college, we decided to make a jump with our six year old daughter and back pack through Mexico and parts of Europe. This was the turning point in our plant-base lifestyle! We had to learn how to become extremely efficient and creative with our food to sustain our active lifestyle. We learned how to incorporate super foods with natural & organic fruits and vegetables. We made typical culinary plates of each country and turned them vegan. We started experimenting by creating gourmet plant-based recipes, raw plant-base food and delicious plant-base desserts. While traveling we became fitter, full of energy and healthier. We started offering plant-base classes everywhere we lived and shared our knowledge with everyone. We now live in Santa Fe, NM where we have our weekly classes on plant-base performance and culinary classes. Our dream is to build our Plant-Base Workshops on Wheels. We want to travel through America and offer our classes everywhere we go. 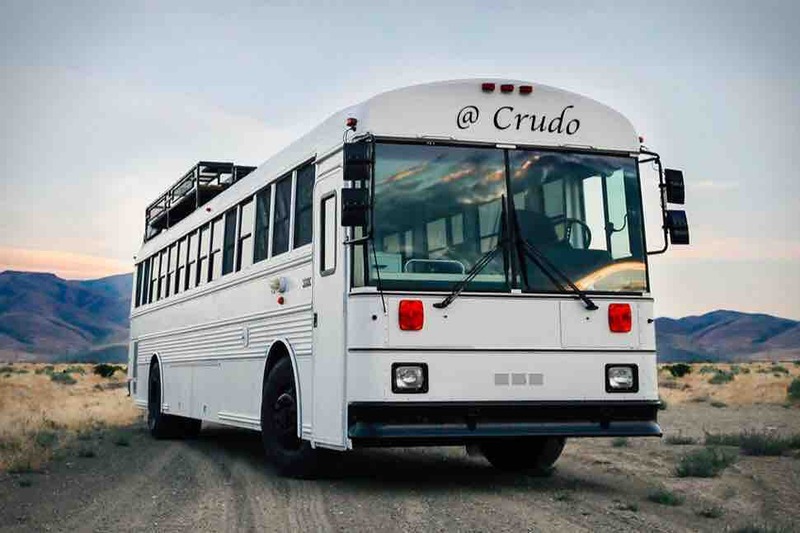 We would like to convert a school bus into our tiny home so we can reach more people with less expenses. With a Skoolie we can dramatically cut traveling expenses, live minimalist, and stay longer in different locations. We want to design a Skoolie where the main focus is the kitchen. Here we can offer our hands-on cooking classes and workshops. We can design a space that can accommodate and be comfortable for at least 6 people at a time. We love and enjoy having direct contact with people, sharing information and creating great friendships. We would love to have you as part of this project and would be so grateful to have your support. We hope to one day be at your location and share our plant-base lifestyle with you.